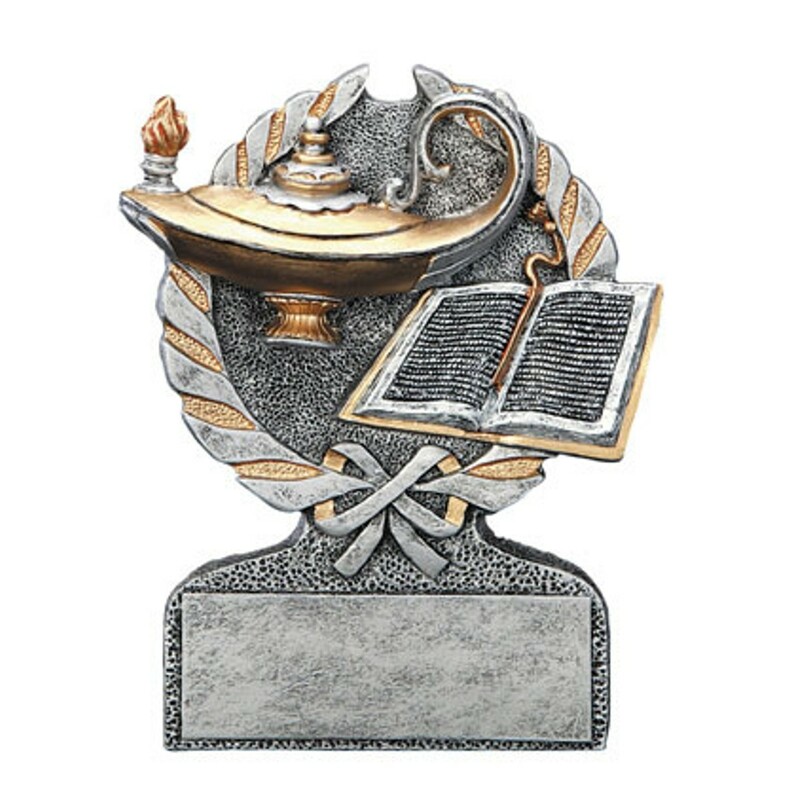 Reward hours of study with our Quality Scholar Award Resin Trophies. Made of solid resin, these beautiful awards feature a lamp of learning and a book in silver with golden highlights. 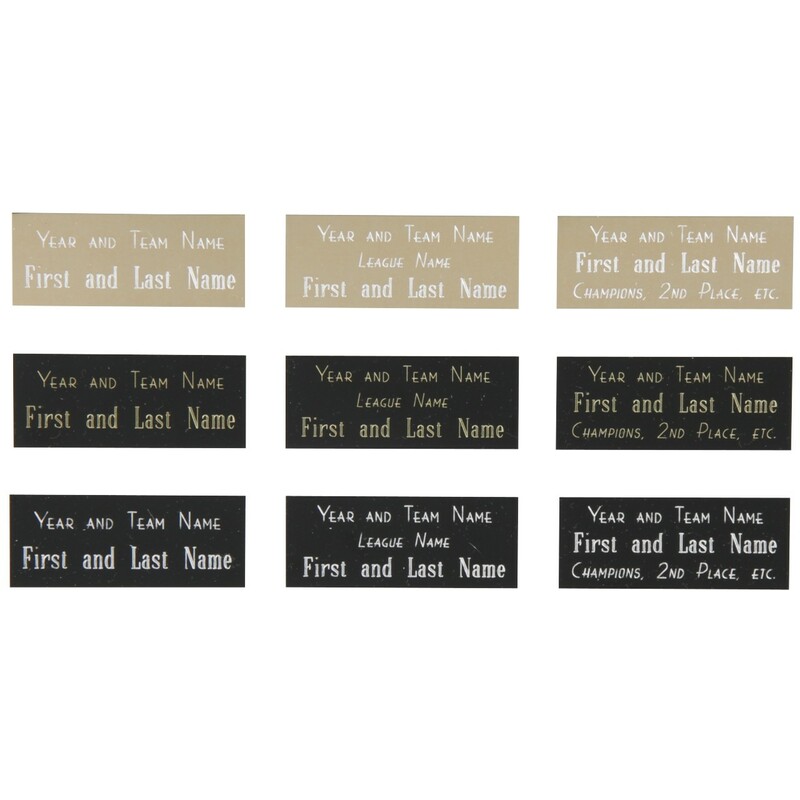 Price includes 3 lines of golden engraving on a black brass plate.